Smiling brunette mother hugging young cute daughter and making funny selfies on the smartphone while grimacing. Portrait. Outside. Happy family is sitting at vintage table in the street. 4k00:07Young people having fun and taking selfie. Young funny cyclists posing and taking picture with monopod in park. Happy cheerful friends. 4k00:09 Sri Lanka - September, 2015: Sri Lakan mask dancers. This is another unique form of dancing with masks which are mastly wooden. It is a typical low country dance. hd00:09Little cute girl swings a beautiful music in pink headphones. 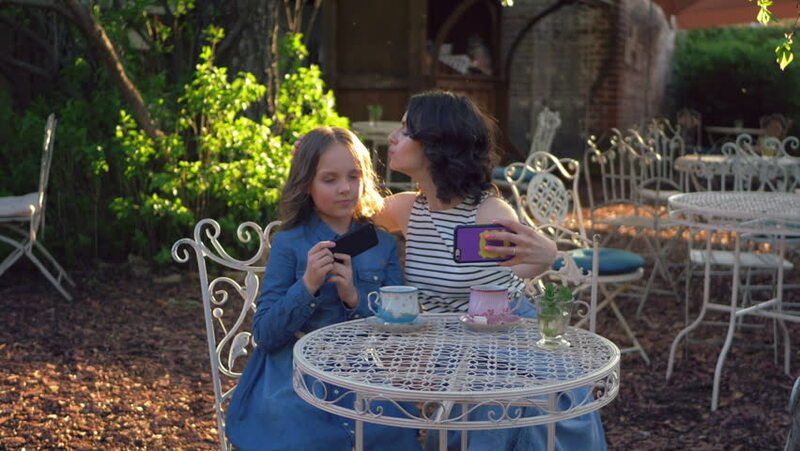 The little daughter listens to music from her smartphone with her young mother in the Park sitting at a vintage table.